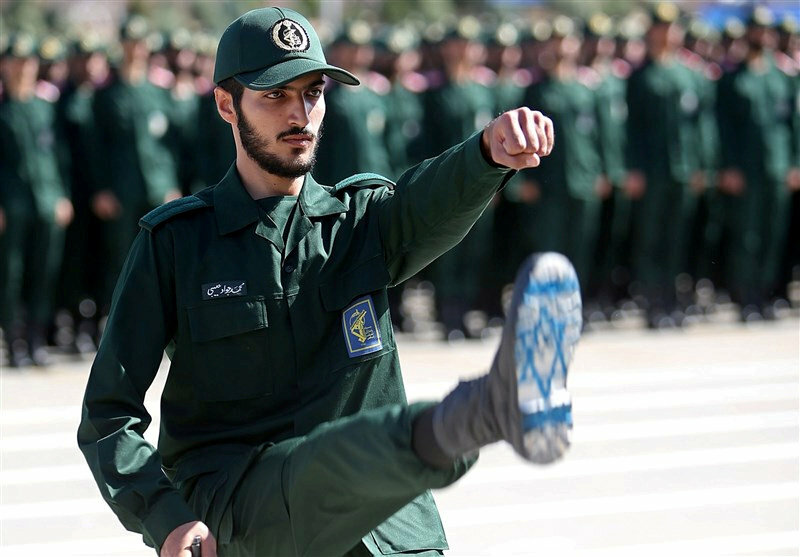 To be sure, President Donald Trump’s decision to designate Iran’s Revolutionary Guard Corps (IRGC) a terrorist organization is good for Israel. But it’s also good for the western world. The decision, coming less than a year after the president scrapped the disastrous Iran nuclear deal signed by his predecessor, is another step in Mr. Trump’s plan to defeat enemies and influence the ayatollahs with the help of America’s economic clout. He has imposed increasingly stringent sanctions, but some, including the one that bars Iran from exporting oil, have been porous. In the pipeline are measures to completely clamp down on the export of Iranian oil, with devastating consequences for the Iranian economy, and this latest measure, declaring the IRGC a terrorist organization. It is unprecedented for the United States to formally label another country’s military a terrorist organization, but President Trump has a track record of being guided by what’s right, not by what’s been done until now. That’s what led him to recognize Yerushalayim as the capital of Israel and move the U.S. embassy there and to recognize Israeli sovereignty over the Golan. The IRGC was set up after the Islamic Revolution of 1979 to protect the Shiite rulers and revolutionary “values.” Numbering some 125,000 troops — including army, navy and air units — the IRGC answers to Supreme Leader Ayatollah Ali Khamenei. Among its responsibilities is overseeing Iran’s ballistic missile program, including the Shahab-3, which it claims has a range of 2,000 kilometers, putting it in reach of Israel and U.S. military bases. What’s more, the IRGC is a major political and economic force within Iran. There are those who question the wisdom of taking such a provocative move, especially since the IRGC is already fully sanctioned and Iran has been designated a state sponsor of terrorism. The threat is particularly worrisome considering that U.S. forces are stationed in Iraq, near Iran-aligned Shiite forces. According to The Wall Street Journal, senior Pentagon officials fear that the move could provoke a backlash against U.S. troops in the region. These concerns cannot be taken lightly, but it must be remembered that threats of violence are the go-to reaction of radical Shiites any time a proposal is floated that challenges their world-view or their goals. The president’s announcement recognizing Yerushalayim as the capital of Israel, which he correctly called nothing more than recognizing reality, was greeted by Hamas and Iran with calls for a new violent intifada. There was serious concern of terror attacks in Jewish sites in Europe and around the world. B’chasdei Hashem, the threats proved empty. The president is not acting recklessly. To the contrary, it would be reckless to sit back and allow Iran to proceed with its nuclear weapons program and develop ballistic missiles that have greater accuracy and range. The administration understands that the time to squeeze Iran economically is now, and that it is far better to defeat Iran through economic means than through military ones that jeopardize the lives of U.S. soldiers. By labelling the IRGC a terrorist organization, no less than Islamic State, the president is putting the Iranians on notice that in the event of a clash, the American response will be unrelenting. He also leaves an imprint that will influence future U.S. administrations. The one-two punch of designating IRGC a terror group and closing the holes in the sanctions in a way that doesn’t allow for smuggling of oil out of Iran may be what is necessary to bring the Iranian people out to the streets and force the ayatollahs to decide between their own political survival and their heinous desire to destroy Israel. Whether or not the strategy succeeds, we find ourselves once again in a position of gratitude to a president who has kept his word to the voters and acted in a way that, with G-d’s help, will make the world a safer place.